European sales of the EcoSport rose 110% in July. 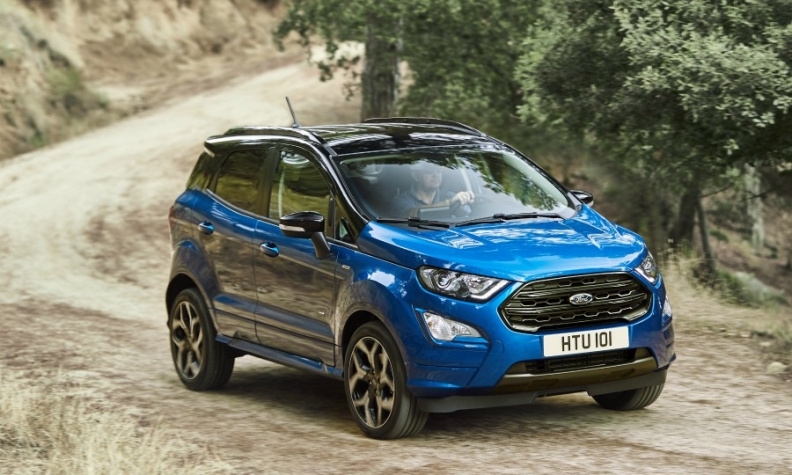 Ford's new-car sales in its 20 core European markets rose 1.4 percent to 74,300 last month as strong demand for the EcoSport and Kuga SUVs helped to lift the brand. SUV sales now account for more than one in five Ford vehicles sold across the 20 markets, Ford said in a statement. Monthly sales of the EcoSport rose 110 percent to 10,500, while demand for the Kuga rose 5 percent to 12,800. Demand for the automaker's best-selling model, the Fiesta, rose 63 percent to 20,700. Ford's July market share of passenger car sales fell half a percentage point to 5.9 percent in July compared with the same month a year earlier. Through July, sales fell 0.2 percent to 843,800. Editor's note: An earlier version of this story had an incorrect figure for Ford's sales increase in Europe in July.